The rational use of drugs and the design of effective dosage regimens are facilitated by the appreciation of the central paradigm of clinical pharmacology that there is a defined relationship between the administered dose of a drug, the resulting drug concentrations in various body fluids and tissues, and the intensity of pharmacologic effects caused by these concentrations. This dose-exposure-response relationship and thus the dose of a drug required to achieve a certain effect are determined by the drug’s pharmacokinetic and pharmacodynamic properties. The understanding of the dose-concentration-effect relationship is crucial to any drug—including peptides and proteins—as it lays the foundation for dosing regimen design and rational clinical application. 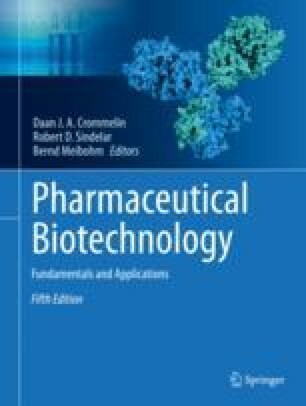 General pharmacokinetic and pharmacodynamic principles are to a large extent equally applicable to protein and peptide drugs as they are to traditional small molecule-based therapeutics. Deviations from some of these principles and additional challenges with regard to the characterization of the pharmacokinetics and pharmacodynamics of therapeutic peptides and proteins, however, arise from some of their specific properties. This chapter will highlight some of the major pharmacokinetic properties and processes relevant for the majority of therapeutic peptides and proteins and will provide examples of well-characterized pharmacodynamic relationships for protein drugs.